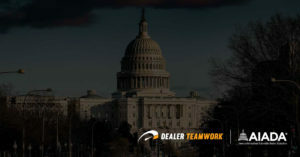 EDEN PRAIRIE, Minn. – April 09, 2019 – In a move to bolster its marketing and sales departments amid surging company growth, Dealer Teamwork is promoting its Vice President of Sales, James Klaus, to Chief Sales Officer. Co-founder, Eric Miltsch, will also take on the role of Director of Marketing. 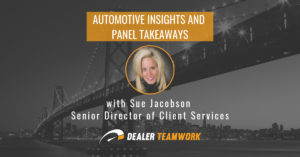 These promotions come at a time of strategic restructuring for Dealer Teamwork in order to continue meeting the shifting needs of the automotive industry and customers. 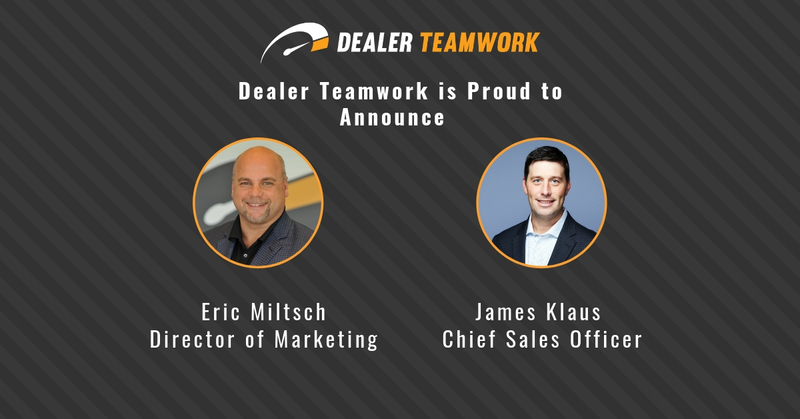 Klaus expressed excitement about the direction of the company, saying, “I could not be more thrilled to be elevated to the executive team here at Dealer Teamwork. 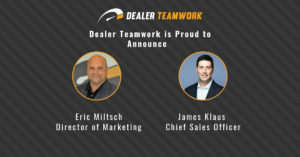 It’s a huge honor to be a part of this team and to drive the innovations that’ll help make Dealer Teamwork a global brand.” Klaus has over 15-years experience in retail automotive. 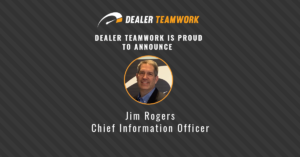 He previously spent time at two dealer groups and held many positions including Sales Manager, Internet Manager and eCommerce Director.